THE Zimbabwe Lawyers for Human Rights (ZLHR) has called on the authorities to uphold the constitutional rights of senior government officials, including ministers, reportedly taken into custody by the military during its intervention last week. The officials, believed to include Finance Minister Ignatius Chombo and Kudzi Chipanga, leader of the ZANU-PF youth wing, were taken into military custody as the army announced a crackdown on “criminal elements” around former President Robert Mugabe. The military has not confirmed holding the officials, although Chipanga made a late night appearance on state television last week to apologise to the army chiefs for a statement in which he accused them of treason. Mugabe resigned this week under pressure from the military and ZANU-PF, ending his 37 year stranglehold on power. “The ZLHR has noted with apprehension and concern some disconcerting media reports that, during Operation Restore Legacy, there may be some arrests and detention of people following the announcement made by major general Sibusiso Moyo on 15 November 2017,” ZLHR said in a statement. Higher and Tertiary Education Minister, Jonathan Moyo and Local Government Minister, Saviour Kasukuwere, some of Mugabe’s staunchest supporters towards the end of his rule, were reportedly under siege at the former president’s private residence. They are believed to have been allowed to leave as part of a deal negotiated by Mugabe and the military. With no information on the detention coming from official military sources, speculation and divergent reports on the whereabouts of various officials were rife. Mugabes, some reports suggested they had been “fished out” and taken into military custody. “Moyo and Kasukuwere were at Mbalabala Barracks near Esigodini after they were fished out from Mugabe’s (Blue Roof) private residence where they had sought refuge,” said one source. “It appears Mugabe negotiated for them to be allowed to go outside the country because there were seen leaving the country for South Africa on Monday. 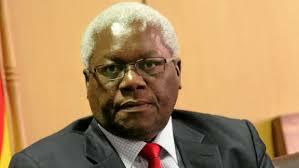 Chombo is being held at the King George V1 Baracks (which has since been renamed Josiah Magama Tongogara Barracks) but is likely to be released after the dust has settled down. Remember, he was the secretary for administration for ZANU-PF, a very strategic position. So, the army didn’t want him to disturb the process and decided to keep him,” the source added. Other sources, however, told The Financial Gazette yesterday that Moyo and Kasukuwere were still detained at an army barrack in Harare. “There are still in the custody of the army. Reports that they have gone outside the country are not true,” said the source. While other Cabinet ministers were arrested by the army, others just disappeared, including second vice president Phelekezela Mphoko (who never returned from a trip to Japan), Arts and Culture Minister, Makhosini Hlongwane (said to be in Mozambique), while Tourism and Hospitality deputy Minister, Annastancia Ndhlovu is said to be intending to seek asylum in Germany.